Think Development is the Roaring Fork valley’s local provider of point of sale resources and solutions. 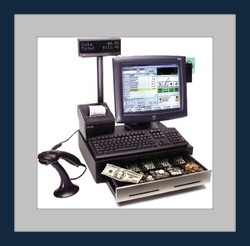 We understand that when your register is down, time is money! Should an emergency arise, we can be on site in the core in 15 minutes or less; we can assist remotely in under one minute. Whether you are having issues with your receipt printer or you want to gain efficiencies from integrating your point of sale and accounting software packages, Think Development can help. We have extensive experience with all of the peripherals in the hardware list, and limited experience with many others. We can help you convert from hand written receipts, cash register, or legacy application to a fully integrated point of sale solution with inventory tracking and customer relationship management. We have written literally hundreds of custom reports, and can extract the data that you need, how you need it, so you spend your time making informed decisions instead of reentering numbers into a spreadsheet.